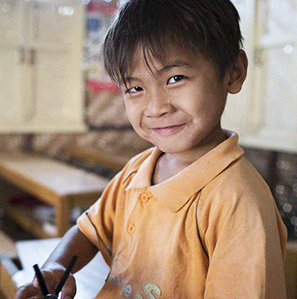 As we reported last month, Cambodia is in desperate need of more schools to educate its impoverished youth. The new Don Bosco Vocational Center in Kep – which officially opened on March 7 – is a major step forward and brings hope and opportunity to youth in need. In a country where one out of every three families survives on less than one dollar a day, the Vocational Center is now ready to empower youth with the skills and knowledge needed to break free from generations of poverty and suffering. Although the Vocational Center is operational, much work still remains. Finishing touches are being applied to audiovisual installation, the art section and campus roads. In addition, a hotel school is in the planning stages that will prepare students for employment in the tourism industry. Most importantly, our Salesian missionaries are looking for additional funding to support major infrastructure upgrades including electrical improvements and a water treatment system. These vital projects will help ensure the long-term sustainability of the Vocational Center and enable it to increase the number of students its able to accept. In the meantime, the Vocational Center in Kep is making an immediate difference in the lives of children and young people who are thrilled for the chance to build better lives for themselves. 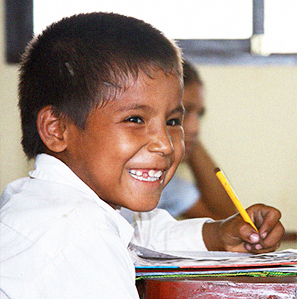 Our mission teaches job skills to youth and gives hope and opportunity to millions of poor children around the globe. What’s your mission? We invite you to find your mission through our work. Your continued generosity to Salesian Missions enables us to keep life-changing projects like the Don Bosco Vocational Center moving forward. Thank you for whatever you can give to help bring hope to needy children today.